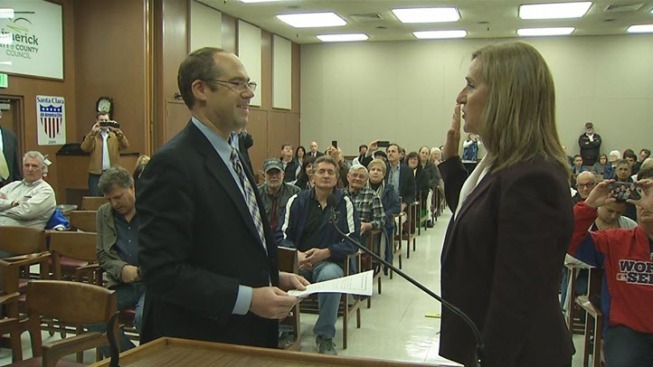 The Santa Clara City Council unanimously appointed councilwoman Lisa Gillmor as the city's new mayor on Wednesday. Jamie Matthews, who occupied the mayor's seat starting in 2014, shocked many when he announced on the heels of Super Bowl 50 that he would be stepping down. Gillmor was also sworn in to her new post during Wednesday's emergency council meeting. Gillmor also said she knows she is stepping into a controversial position. "There's a lot of mistrust with development and operation of the stadium," she said. Even Gillmor's supporters gave her an earful about restoring trust. "I know there's lots of congratulations, but it's going to take more than one person to bring council together," said Tino Silva with the Santa Clara Youth Soccer. Santa Clara resident Howard Myers also pointed out many in the community feel the city's general plan has been "twisted" and "developer tell us where to build." Gillmor said with billions of dollars of development possible around Levi's Stadium, it is time to end backroom deals and debate the future of Santa Clara in chambers. The new mayor on Wednesday would not confirm published reports about a possible civil grand jury investigation into the misuse of public funds to pay for operation costs at Levi's Stadium. But Gillmor said she plans to ask for an audit to answer questions about alleged violations of Measure J. "To be sure we're not using any general fund money for operation of the stadium," Gillmor said. "I'm proposing an independent audit to make sure we're on the right path." City spokeswoman Jennifer Yamaguma said leaders weighed several options when it came to filling the mayor vacncy, including a special election, adding the appointment to the November ballot, and organizing a mail-only ballot election, before deciding on Wednesday's emergency meeting. A special election was rejected due to the time and cost associated with it, she said. "If the remain council members can figure out who they want on an interim basis, that would make sense," David Sternitzke said prior to Wednesday's meeting. The Santa Clara resident said he didn't completely buy Matthews' explanation for vacating the post as mayor. "It's time that I need to step back and be with my family, and, quite frankly, to take a breath and see what the next chapters are for me," Matthews said at a Feb. 8 news conference. The former mayor, whose retirement took effect the following day, was serving his second term, which was set to expire in November 2018. "The timing of it — to not wait for a new election is suspicious," Sternitzke said. Santa Clara's Vice Mayor Teresa O'Neill presided over Wednesday's meeting. Some attendees spoke out at the meeting and called for an election. "I think we should all have a chance to vote on who the mayor is going to be," Dawn Clark said. Fellow Santa Clara resident Linda Woods agreed. "If this can happen, I wonder what other things can happen without people having their voices heard," she said. Gillmor's appointment now leaves an empty seat on the city council that needs to be filled. 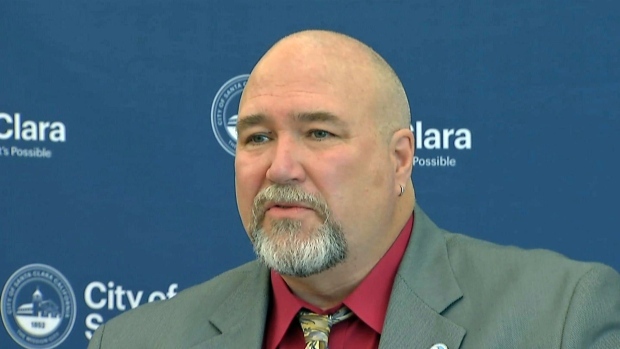 City officials say it is likely that Santa Clara residents will be able to apply and interview for the positing in the coming few weeks. One day after the Super Bowl was held in his city, the mayor of Santa Clara made a surprising announcement: He's resigning immediately.